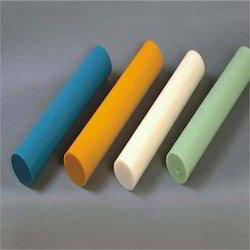 We are engaged in manufacturing and exporting superior quality Cast Nylon Rods. All these are thoroughly tested on different parameters and only then sent for final dispatch. Moreover, these can be purchased in a variety of shapes and sizes, in accordance with the preferences of our esteemed customers. 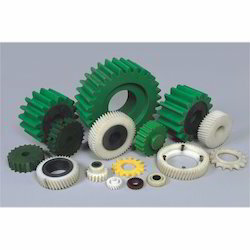 Pitch 3/8", 4/8", 5/8', 6/8", 8/8", 10/8"
We are engaged in offering a wide range of Nylon Sprocket. These are designed and manufactured using the first-grade quality plastic and are featured with tolerance against temperature. Our high performing Gear Pinion & Sprockets can be customized in a variety of sizes and shapes, as per the requirements of our international clients. We make use of finest grade quality basic materials, coupled with the latest technology to fabricate these Gear Pinion & Sprockets. 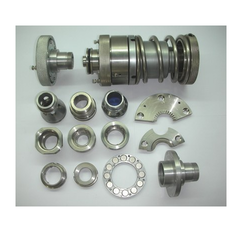 Our company is engaged in offering an extensive range of Bushes Bearing. 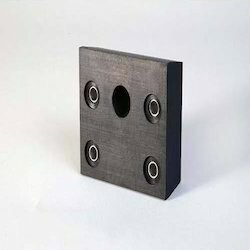 These are widely appreciated in the international market segments for their unique features such as excellent finish and dimensional accuracy. Our Bushes/Bearing/Hanger Bearings have good capacity to bear high temperatures and thus suitable to be used in both Engineering and Automobile industries. 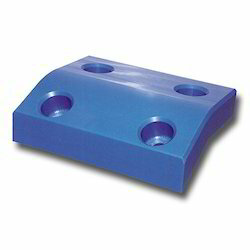 Our clients can avail from us an impregnable range of Pressure Pads. Designed and developed using superior quality basic material, these are featured with a high capacity to bear wear and tear. We offer these premier quality Facial Pads for Steel Industry as per the diverse requirements of various industries. Taking into account the ever-changing needs of our international clients, we offer these high-grade Facial Pads for Steel Industry with innovative features and higher efficiency. We are engaged in offering to our clients Bottling Components. The tailor-made range offered by us comprises bottling evacuation adopter with NRV, 'O' rings inserter (S.S.), 'O' rings inserter (M.S. ), filling gun nozzle, travel gauge, and pin broken adopter. We offer our high-quality range at highly affordable prices. We offer high quality Paper Mill Nozzles, etc. 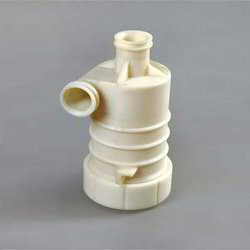 in UHMWPE, Nylon material. These cost-effective products are highly durable in nature, and known for their precise functioning in the automobile. 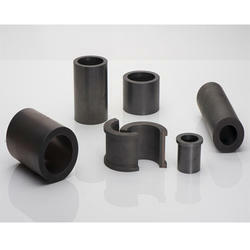 Our customers can purchase from us a wide range of Kaylon Moulded Components. These are manufactured using superior quality basic material and has durable finish standards. Owing to these factors, our components are extensively used in different engineering and automobile industries. We are offering Plastic Rod to our clients. We provide high-quality products to our customers. Kaylon Disc, Star, Worm, Pipe color green, black , blue, natural etc. 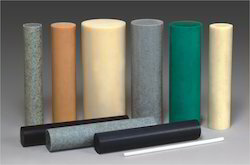 We are offering Polyethylene Liners to our clients. 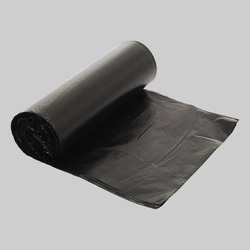 In our extensive range of products, we manufacture, trade and supply Plastic Liners. 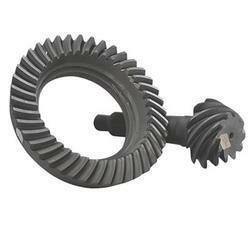 We are offering Pinion Sets. As experienced precision Machined Plastic Parts, we care about helping you understand more about our business and how we can help you select the right materials and the right process to solve your design challenges. We have devoted an entire portion of our site to resources aimed at helping you learn more about precision plastics. From our most popular PDF (Understanding the Art of Plastic Machining ) and within our Frequently Asked Questions section, we hope that we answer any questions you may have about precision machined plastics. If you still have questions, we’ll be happy to discuss your specific precision plastics needs with you. Use the link below to email us or fill out our Online Inquiry Form to discuss your project with our experts. We are offering Bottling Spare Part to our clients. 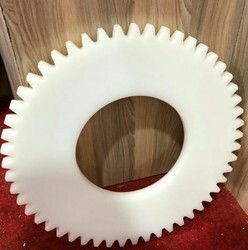 Polyrib is partially crystalline polyamide and has to manage to gain a key position in engineering plastic through the combination of high strength the toughness even strength and high toughness even a low temperature. Polyamide has become a multi-purpose plastic. These are featured with good toughness, high dynamic load bearing capacity, high strength and stiffness, almost no tension crack formation, good chemical resistance, good gas barrier properties, higher temperature operating capacity, good wear and abrasion resistance, low internal stresses and good dimensional stability. 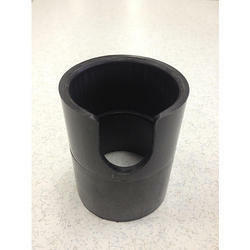 Nylon Rod Tube Cap are an excellent choice for most end cap applications. Their flexible nature allows them to go on easily and stay put while the soft material cushions the end of the bar or tube. They work particularly well as mailing tube caps, shipping protectors, and dust covers as well as finishing caps on point of purchase displays, racks, and other metal products. Stock Cap is proud to offer the largest selection of STOCK vinyl end caps in the closure industry. Custom caps can be produced in many different durometers, colors, wall thickness, and lengths to satisfy any need. 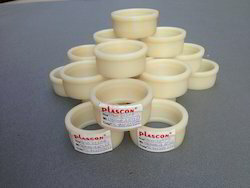 In fact, our flexible molding process also means that these caps can be made in much longer lengths than traditional plastic end caps. We are offering Bushes to our clients. 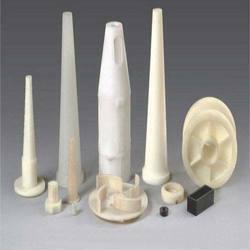 We are offering Polyamide Castings to our clients.